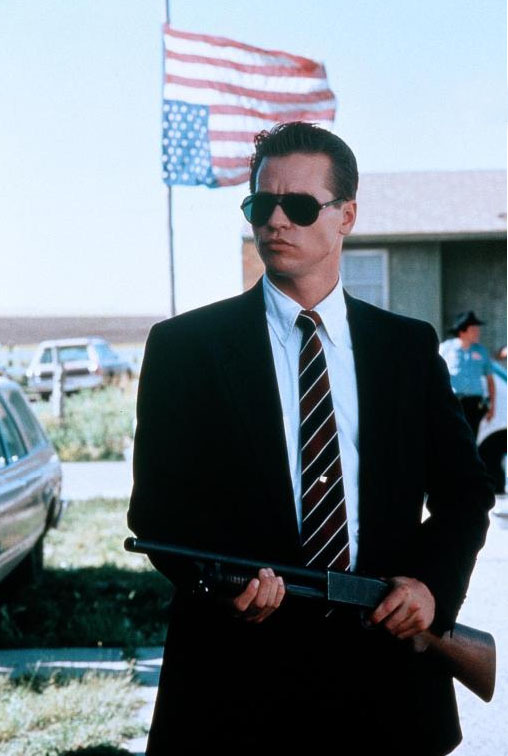 Kilmer stars as Ray Levoi, a hotshot FBI agent who's thrust into a strange new world when he is sent to solve a murder on an Indian reservation. Hand-picked because of his part-Sioux ancestry, Levoi is teamed with a legendary older agent (Shepard) to capture a radical Indian protester. But once on the reservation, Levoi encounters the irreverent local sheriff (Greene), and the tribe's religious leader (Chief Ted Thin Elk), who knows secrets about Levoi's own lost heritage. And as Levoi's awareness of the native culture grows, so does his belief that the U.S. government has framed an innocent man. 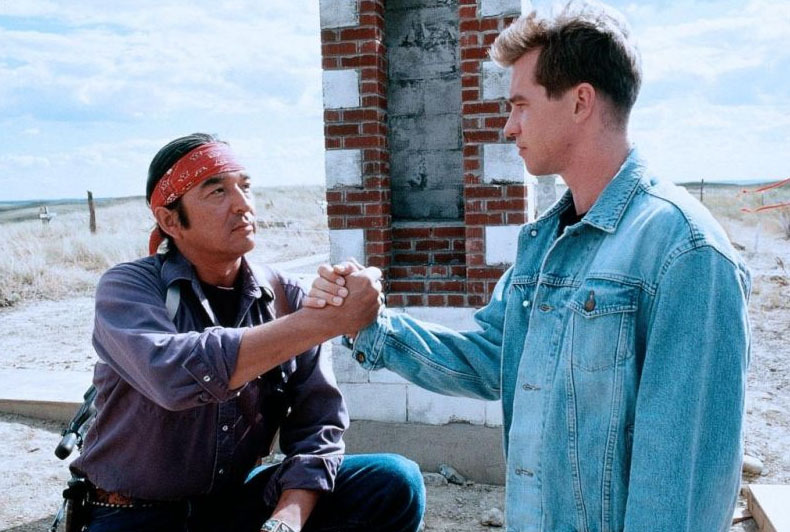 Shot on location at the Pine Ridge Indian Reservation in South Dakota in 1991. This is the first feature film shot on that location. Pine Ridge is the second largest reservation in North America, with a population of about 18,000. 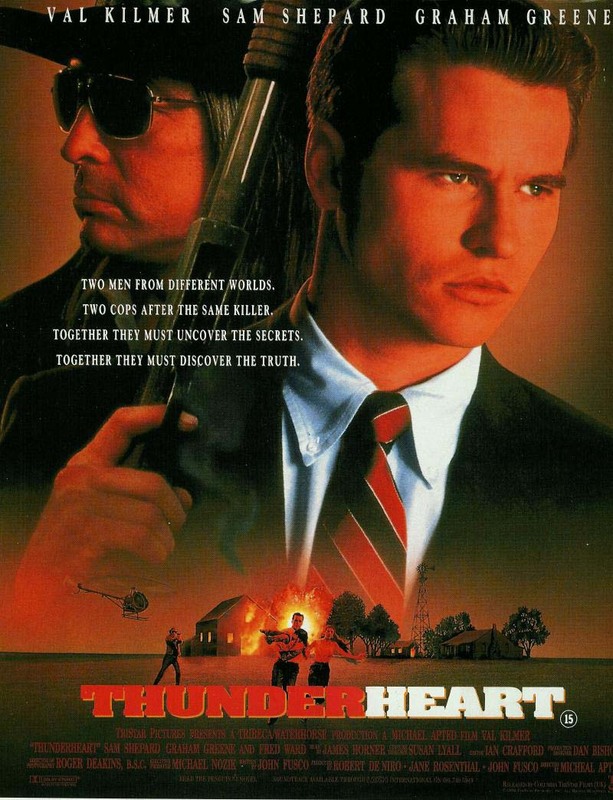 THUNDERHEART grossed nearly $23 million at the domestic box office. 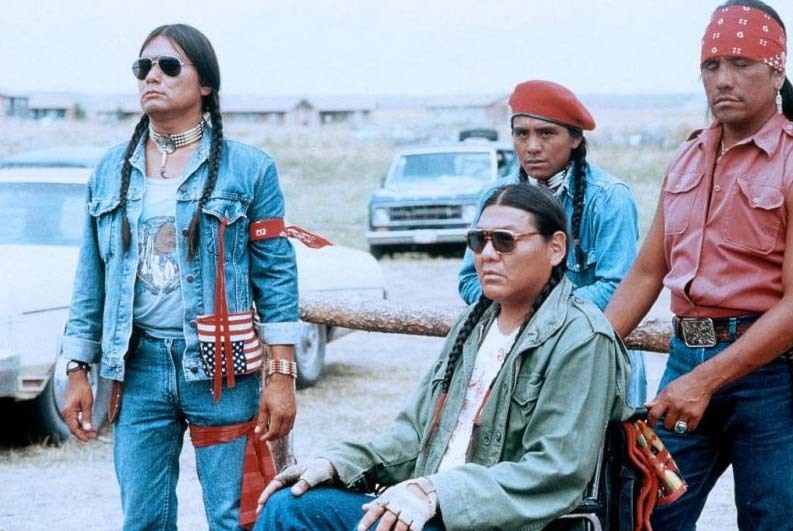 The film employed over 250 Native American extras. 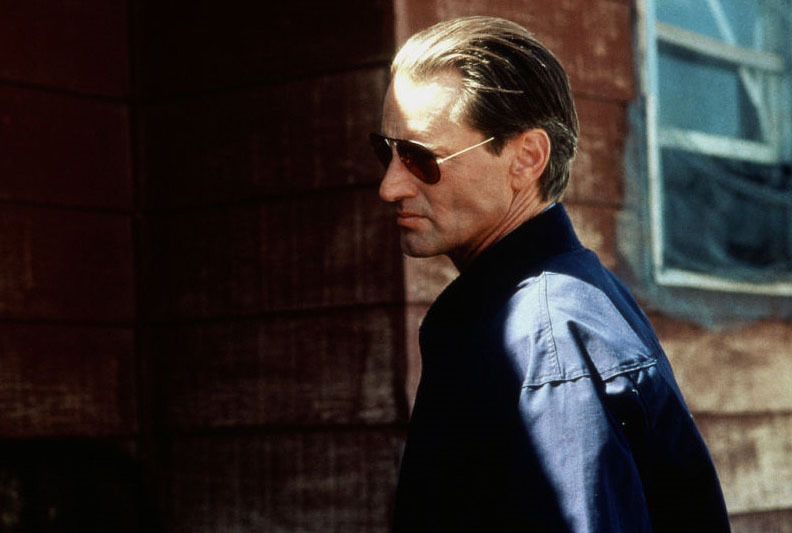 Former American Indian Movement chairman John Trudell plays the part of the FBI suspect, Jimmy Looks Twice. Trudell was head of AIM when Leonard Peltier was convicted. 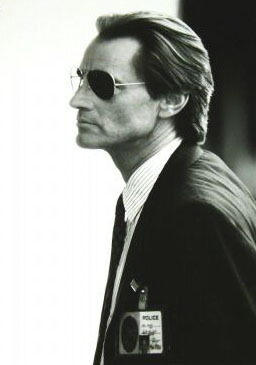 He met director Michael Apted while working on INCIDENT AT OGLALA. Trudell is also a musician and poet. The film is partially based on screenwriter-producer John Fusco's experiences as an adopted relative of the Oglala Nation. He spent five years at Pine Ridge and met the Oglala Sioux medicine man, Chief Frank Fools Crow, who became the inspiration for the character of Grandpa Reaches. An uncompromising look at a national blight. 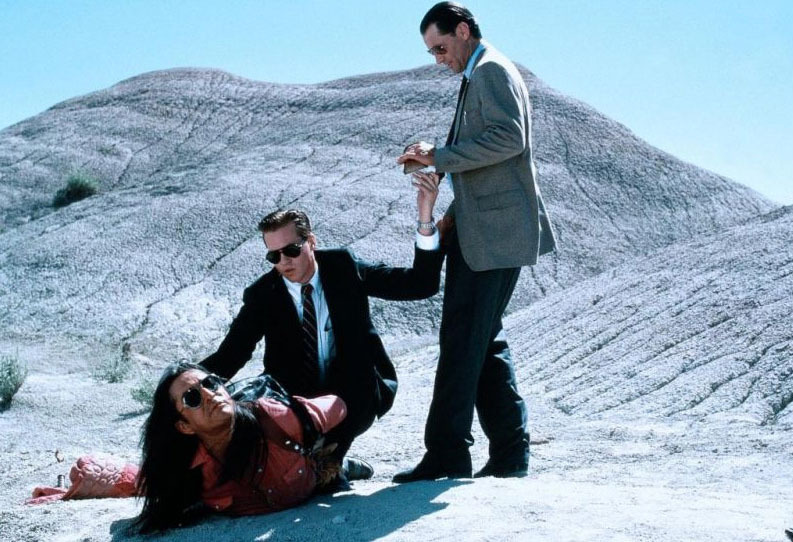 Passionate and steeped in American Indian mysticism, "Thunderheart" is a modern and intellectually honest film. 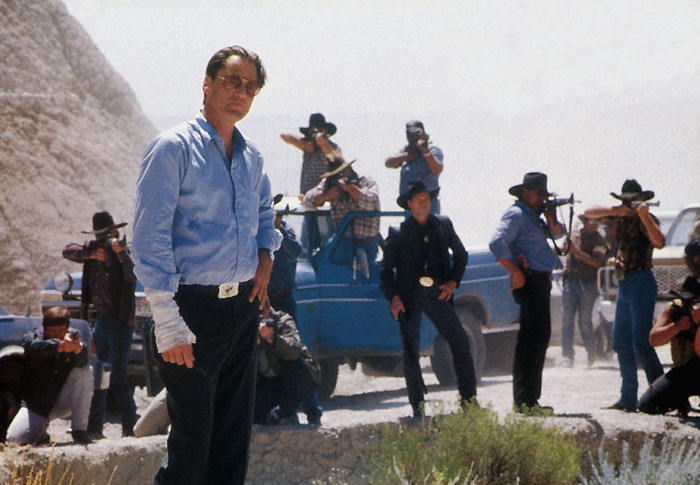 With the craggy drama of the Badlands for a backdrop, the spectacularly intriguing mystery "Thunderheart" captures not only the grandeur of the wind-scraped canyon country, but its essential godliness... Under the guidance of British-born director Michael Apted, the actors fit into their ambiguous roles as easily as canoes sliding into the water. 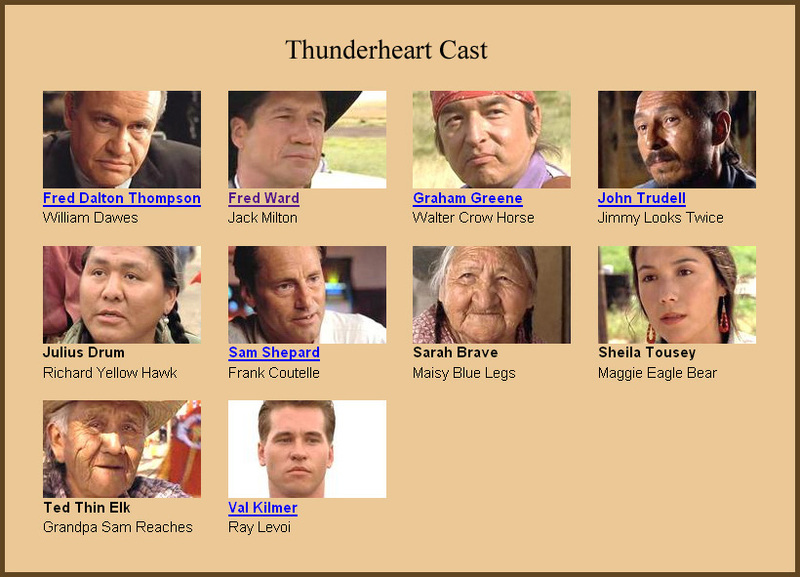 Beyond the intricate scripting, "Thunderheart" works because Apted has assembled a first-rate cast. 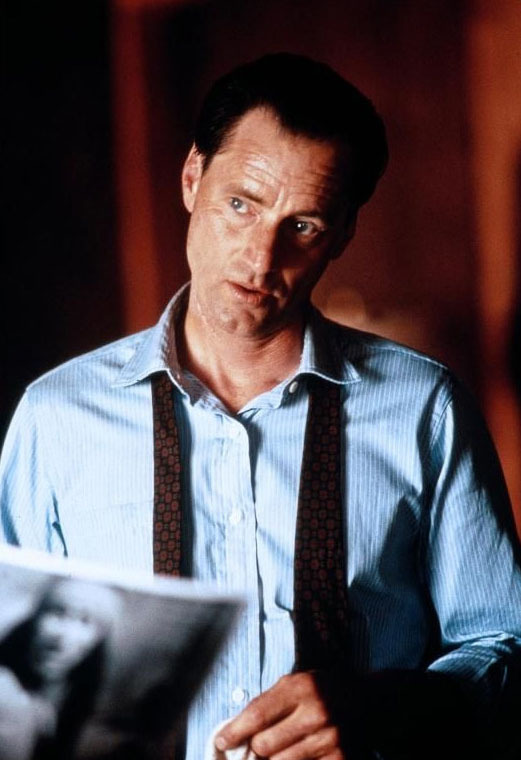 Shepard brings a sullen detachment to his role as an FBI agent with a hidden agenda. Fred Ward, as the tribal chief on one side of the struggle, is all smiles and snake oil. And Kilmer captures Ray's increasing ambivalence... The result is the best kind of entertainment: A movie that latches on to your emotions and takes you for a thrilling ride. 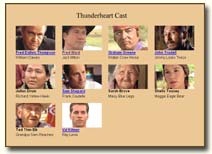 "Thunderheart" is a thinking person's melodrama about an FBI-run conspiracy against rebellious Native Americans. 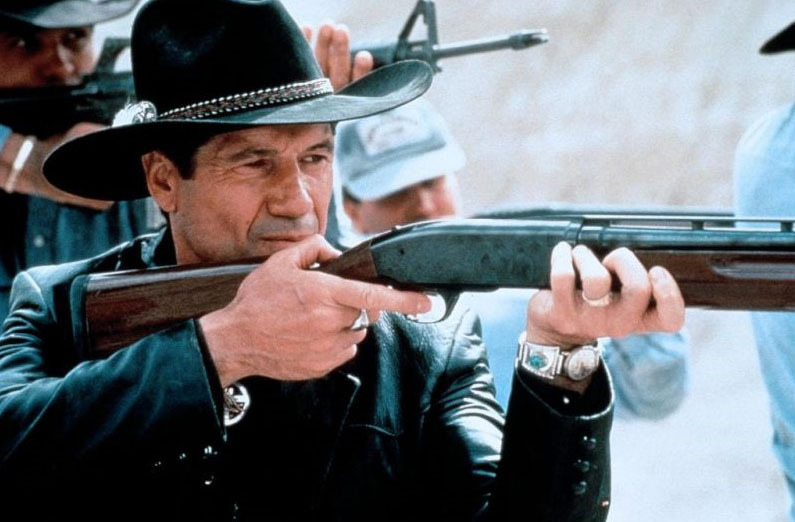 The director, Michael Apted, elicits credible performances from Shepard and Fred Ward, and blends them confidently with the nonprofessionals in the supporting cast. 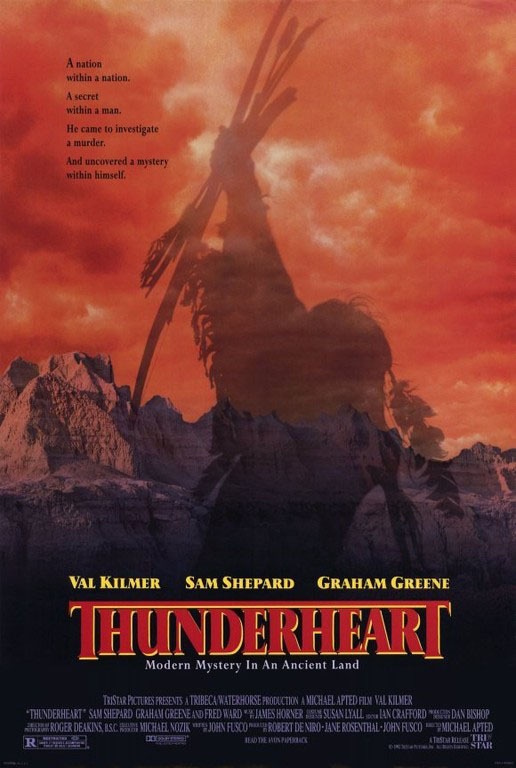 "Thunderheart" resonates with spirituality and careful attention to detail regarding Lakota custom and history. The script is deftly woven by screenwriter John Fusco. 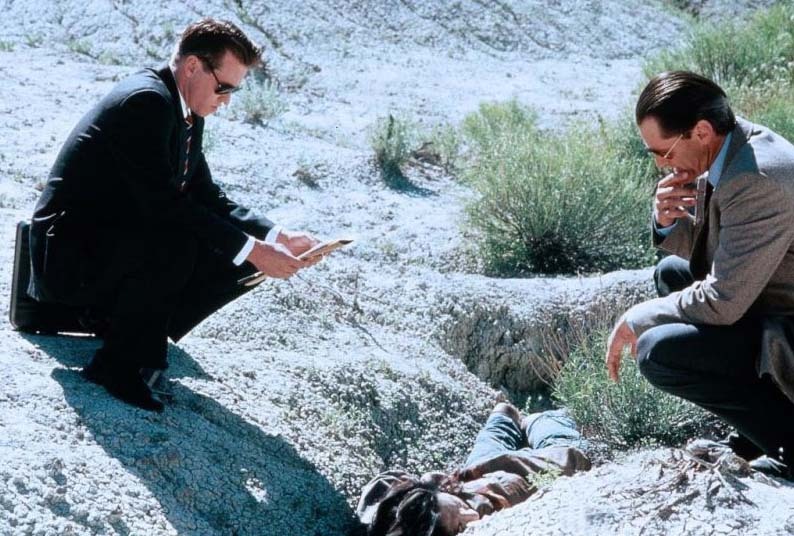 The story unfolds carefully, maintaining an air of mystery right to its satisfying conclusion... Kilmer are Shepard are very good here, but it's Greene who really steals the show. Kilmer and Shepard give strong performances.... The camera sweeps breathtakingly across the Badlands. Conveyed with curiosity and intelligence....Apted is a skillful storyteller. Director Michael Apted carries the film off with real panache. 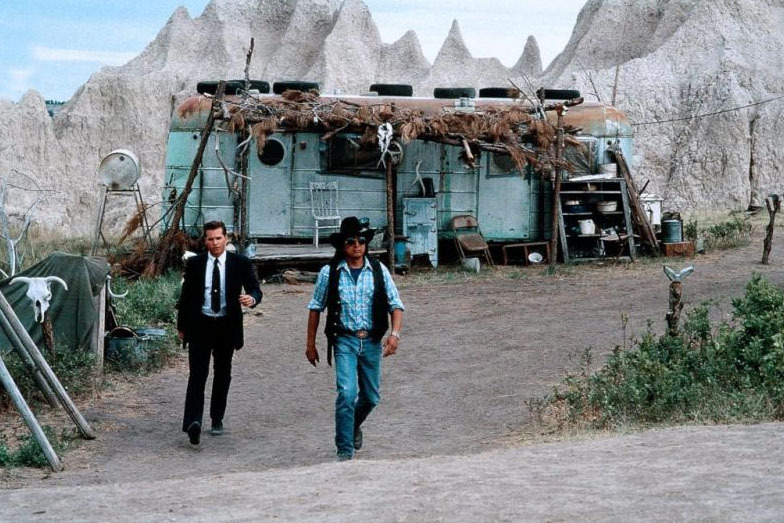 His affection for the cliches and details of the seamless mystery-thriller makes the story immensely entertaining, his takes on the badlands landscape are spectacular, and he regularly inverts Native stereotypes and treats Native mysticism with sensitivity and seriousness... This is a passionate movie that may well make a lot of complacent white folks reconsider their misconceptions. 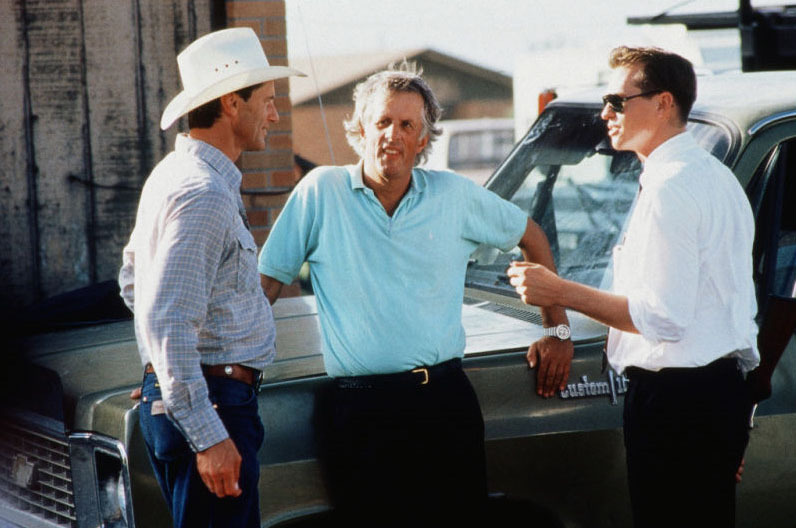 What's most absorbing about "Thunderheart" is its sense of place and time. Apted makes documentaries as well as fiction films, and in such features as "Coal Miner's Daughter" and "Gorillas in the Mist" and such documentaries as "35 Up" he pays great attention to the people themselves - not just what they do, and how that pushes things along.